Skin specific exfoliation with a customized peel or microdermabrasion followed by deep cleansing of congested pores. Each treatment is finished with a purifying facial mask and LED therapy. A deep physical exfoliation of the upper epidermis that removes dead skin cells and clears congested pores. This results in a clearer, smoother, and overall brighter complexion with zero downtime. Each treatment is finished with light extractions if needed, a soothing mask, and LED therapy. Add on a custom peel to enhance your results. Dermaplaning is yet another way to remove the buildup of layers of dead and damaged skin cells from the surface, performed in the office by gently scraping away the buildup to reveal the fresh and vibrant layers beneath. Your skin will look and feel rejuvenated immediately, ready for whatever occasion or event on your calendar! Anti Aging Program– NASA Studies confirm red and infrared light therapy accelerate the growth of healthy cells by 150-200% causing rapid improvement in both the appearance and health of the skin. This treatment combines red, amber, and infrared wavelengths for increased cellular metabolism to boost new collagen and elastin formation. Acne Program– This FDA approved treatment features Blue Light at 420nm to destroy acne causing bacteria without the use of oral antibiotics or drying topical applications. A series of blue Light treatments can help those struggling with breakouts gain more control of their skin through regular maintenance sessions. Deep cleansing is followed by steam and 15 minutes of active pore extraction anywhere on the body. We finish with a clearing mask and LED therapy. This “grown-up” facial treatment focuses on results rather than relaxation. Each treatment includes a skin-specific exfoliation with our custom peel or microdermabrasion, LED light therapy, and facial dermaplaning. This combination thoroughly removes dead skin, clears congested pores, and reduces fine facial hair. LED therapy can be customized to reduce breakouts in acne-prone skin or enhance anti-aging treatments with new collagen formation. Each Halo is finished wit out intensive brightening booster and soothing facial mask. A custom cocktail is created to address patient’s individual needs. Each treatment is finished with light extractions if needed, a soothing facial mask, and LED therapy. During chemical peels, various acid solutions are applied to the skin to break the connections between skin cells. Peels can be superficial to exfoliate the upper most layer of skin or deeper to improve pigmentation and skin texture. Peels are great first line treatments for many conditions and great maintenance in between other treatments. Depending on the type of peel, recovery time can range from minimal with no real “peeling” to a few days of mild redness and exfoliation. Patients generally see improved skin tone and texture with each treatment. Radiance is achieved through a series of Vitamin C and Lactic Acid Peels and finished with LED Therapy and CoolLift Hydra-fusion. This innovative technique uses nine super-fine needles to promote collagen remodeling, improve large pores, soften fine lines, and treat mild acne scarring. 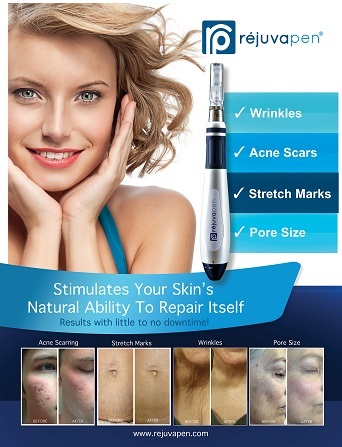 This medical-grade microneedling with premium HGH (AQ Human Growth Factors) is best for moderate to severe acne scars, deeper lines and wrinkles, or severely damaged skin. Treatment begins with a deep exfoliation to soften and finishes with LED therapy. Improve your skin’s texture and appearance with microneedling! Using a stamping device, tiny needles are repeatedly introduced into the top layer of skin to stimulate collagen growth. Skin is numbed prior to the procedure, making the treatment a painless way to achieve flawless skin. Microneedling can be combined with growth factors, or your own platelet rich plasma (PRP).